Early 20s talent required for social campaign. 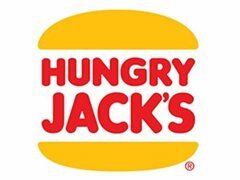 Looking for people in their early 20’s to be in a Hungry Jack's social campaign. We're looking for fun loving and real people; full of personality and can do a bit of singing. *Audition tape of you and ideally, you and your mates, showing us your singing chops. Have some fun and sing us a song about bacon! Show us what you’ve got. Must be willing to eat a meat burger.